Sparkling faceted pyrite stones are wire wrapped with sterling silver and combined with a hammered sterling silver circle and natural pearl. 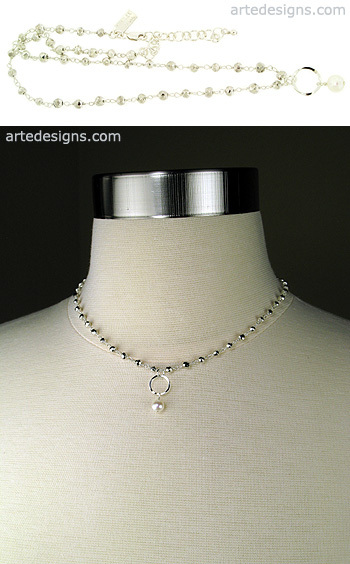 A modern and classic choker you can wear alone or layer with other necklaces. Pearl is an emblem of purity. It symbolizes love and happiness. Pendant is approximately 3/4 inch long. Adjustable 14 - 16 inches with a sterling silver lobster clasp.